The Message of the Qur'an, the much sought after interpretation of the Qur'an by Muhammad Asad, serves as a matchless aid to understanding the holy book of Islam and provides in itself a complete education in the faith. This product ships only to US addresses. 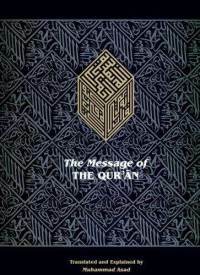 The Message of the Qur’an, the much sought after interpretation of the Qur’an by Muhammad Asad, serves as a matchless aid to understanding the holy book of Islam and provides in itself a complete education in the faith. 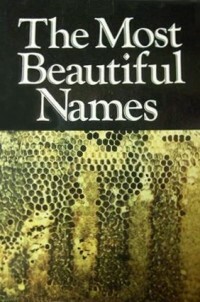 As the distinguished British Muslim, Gai Eaton, explains in a new Prologue to the work, there exists no more useful guide to the Qur’an in the English language than Muhammad Asad’s translation and commentary, and no other translator has come so close to conveying the meaning of the Qur’an to those who may not be able to read the Arabic text or the classical commentaries. 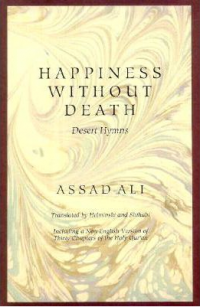 “Buried in the small Muslim cemetery in Grenada in Spain is one Muhammad Asad, one of the most prominent Muslim thinkers of the twentieth century…. He was born Leopold Weiss in Lwow, Galicia now in Poland the son of a Jewish barrister and grandson of an orthodox rabbi. He studied history of art and philosophy at Vienna University then went to Prague and later Berlin. Invited to Jerusalem by his uncle, Dorian Weiss, a prominent psychiatrist and early pupil of Freud,… he encountered the Zionist Committee of Action but from the outset conceived a strong objection to Zionism an objection which he personally conveyed to Dr Chaim Weizman, the leader of the Zionist movement…. He became a correspondent for Die Frankfurter Zeitung, making a name for himself with dispatches from Palestine. “He traveled extensively in the Mashreq and Maghreb… The turning point came in 1926 when he converted to Islam…. Asad enjoyed a close friendship with King Ibn Saud. His love affair with Arabia was more intense than those of his European predecessors…. After more travelling, Asad went to British India and befriended Muhammad Iqbal, the spiritual father of the idea of a separate Pakistan, whom he admired greatly. Iqbal persuaded Asad to abandon plans to travel to eastern Turkestan, China and Indonesia and to help elucidate the intellectual premises of the future Islamic state…. “After an absence of 25 years from the West, Asad came to Paris and then to New York in early 1952, serving as Pakistan’s Minister Plenipotentiary to the United Nations. His spiritual autobiography, The Road to Mecca (1954), which the Times Literary Supplement called “a narrative of great power and beauty,” covered the first half of his life, including a journey in the summer of 1932 into the Empty Quarter of the Arabian Desert, which confirmed his conversion to his new belief, and a conscious, wholehearted allegiance from one cultural environment to another…. 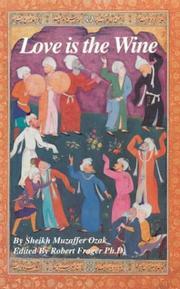 “However, Asad’s chief ambition was to translate the Koran into English. 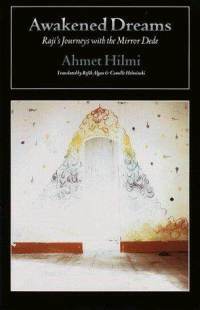 First Switzerland and then Morocco provided the setting for the preparation of his magnum opus, The Message of the Qu’ran (1980), dedicated to “people who think.” In its intellectual engagement with the text and in the subtle and profound understanding of the pure classical Arabic of the Koran, Asad’s interpretation is of a power and intelligence without rival in English.